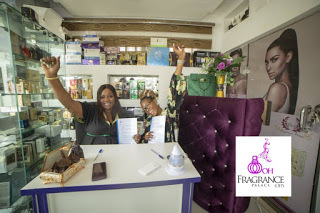 On the 1st of April Oohfragrancepalace became your one stop shop for fragrance, with a wider range of fragrance options. The additional collection led to the unveiling of the Mother name and logo. In addition to this, the company added another face to the list of their Brand Ambassador. 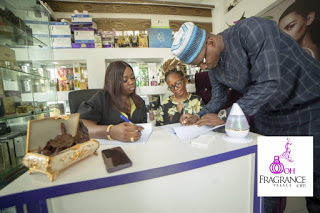 The Company signed business mogul and fashion goddess Toyin Lawani of Ttiannah Place Empire as a Brand Ambassador in January and has now added another style enthusiast and critic, Oluwabukunmi Adeaga(Kiekie) who is known for her popular Shows – Style Review and Fashion Shock Show with Kie Kie. The entire team and boss welcome Kiekie to the home of luxurious, yet pocket friendly brand. In celebration of these feats, hold your umbrella as its about to rain discounts as Easter sales starts.